LG brings Infinia 72LEX9 which has inbuilt point of control (Spot Control) technology, which provides automatically illumination blocks of pixels that guarantees a deep black color, uniform image and save up to 70%. It supports NetCast Web TV and DLNA. This 72-inch HDTV is equipped with Wireless AV Link, which allows users to send an “High Definition” content wirelessly connection. 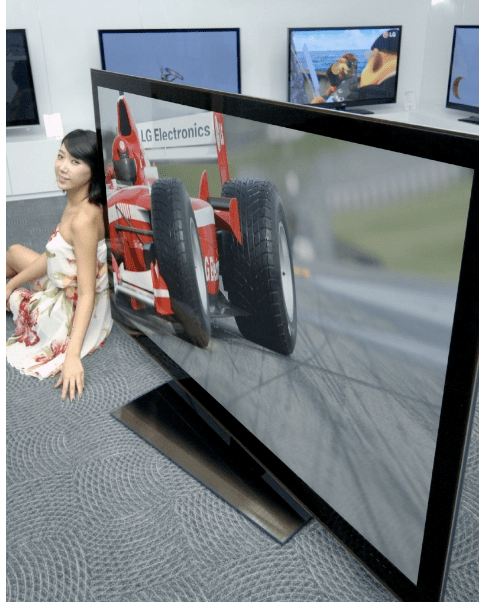 LG Infinia 72LEX9 LED 3D HDTV will be available in Q2 2011 for about $7,146.